Barbie does that too! Greyhound face dunking! ACK! I would never, ever put my head under the water. And I wouldn't put my toesies in the water either. Water is a very, very dangerous thing since brindle furs can melt right off, you know. hahahahah, come up for air! BOL!!! He better hope there's no shark in there! 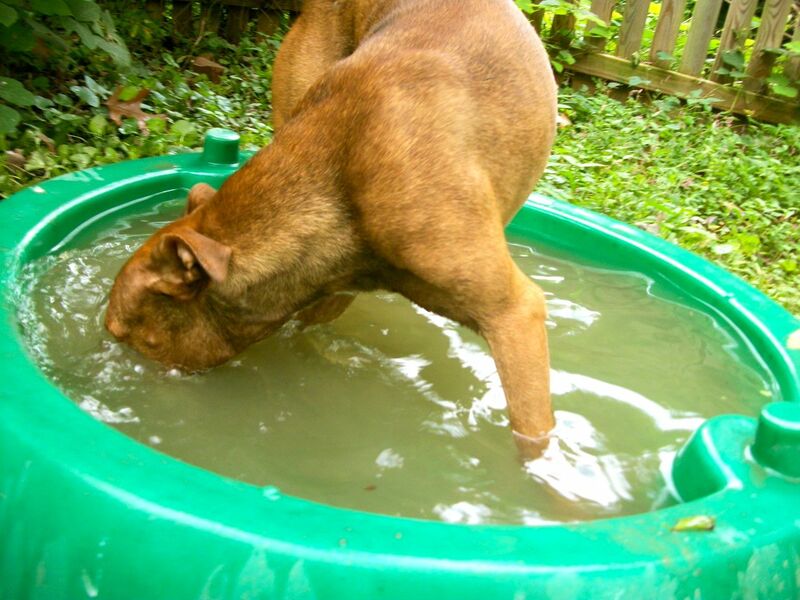 LOL tooo cute :) My rottie loved water, he used to do that. My other dogs thought water would melt them lol. My hypothesis that this was a pit thing has been thoroughly disproved by all the anecdotal evidence of other breeds sticking their noses firmly and completely underwater. Thank you all, again, for your assistance in my scientific explorations of dog behavior.